I have to admit, when I was first introduced to Bone Music by Christopher Rice, I was a little weary. I am not exactly a very big fan of mystery thrillers, mostly because I'm a big chicken and they tend to freak me out. However, I decided to give this book a shot, mostly because I have seen the book around a lot lately, and also it sounded really interesting as well! I'm so glad I did! I really enjoyed this book. The storyline for Bone Music starts out as a mystery thriller, which made me a little nervous because, as I mentioned above, I'm a big ol' chicken when it comes to scary stuff. But, I went ahead and started reading it anyways, and by the second chapter, I was hooked. The more I read of the book, the more I enjoyed it. Though this book is listed as a thriller, it also as a bit of a sci-fi twist to it as well, and that really made the story even more interesting for me. I don't want to go into too many more details about the storyline, as I don't want to spoil it for you, so if you want to know more, check out the book! Bone Music also has a really interesting cast of characters as well, including the main character, Charlotte, who was kidnapped, then raised, by two serial killers who murdered her mother when she was a baby. That's not at all a good start for kid, right? And after she's finally found and rescued, her whole childhood is then exploited by her father, who only wants to make money off her pain. Knowing all that she went through growing up definitely made me understand her better throughout the story, and appreciate her character growth as well. I liked Charlotte, and I'm curious to see what's next for her in the future. 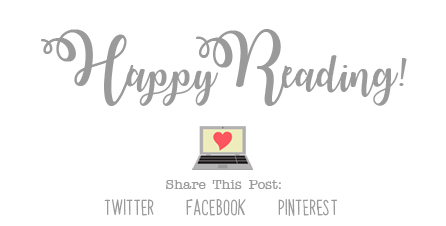 Overall; I really enjoyed reading Bone Music! I think it's a good start to what should prove to be an interesting book series. Oh, did I mention that it is, in fact, going to be a series? I haven't found any information on book #2 yet, but I will most definitely be keeping my eye out for it. 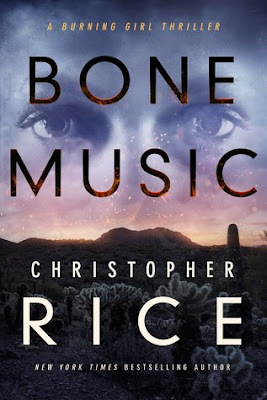 If you're a fan of a good mystery thriller with a sci-fi twist, do check out Bone Music by Christopher Rice!